One popular myth about space exploration is that the Great Wall of China is the only human-built structure that can be seen from space. But this is not true. The reality is that you can’t easily see the Great Wall with the unaided eye, even from low Earth orbit. And certainly, the Apollo astronauts couldn’t see it from the Moon, even though that urban legend has been widely circulated. Additionally, when China’s first astronaut, Yang Liwei, went into space in 2003, he said that he couldn’t see the structure of the Great Wall from out his capsule window. 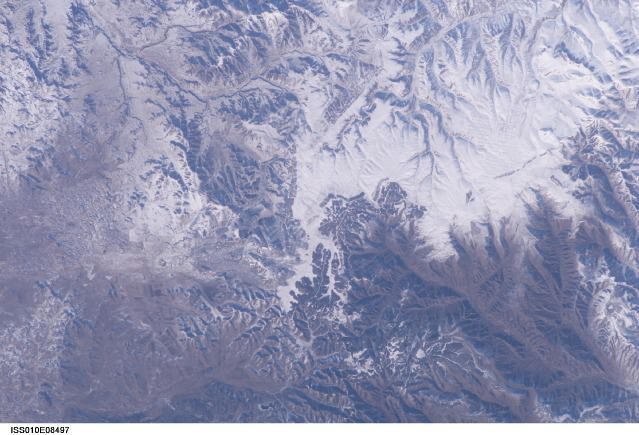 NASA has confirmed that US astronaut Leroy Chiao took what is thought to be the first verifiable image of the Great Wall of China from out his window on the International Space Station in 2004, using a zoom lens. He photographed a region of Inner Mongolia, about 200 miles north of Beijing, but said Chiao himself said he didn’t see the wall with his unaided eyes, and wasn’t sure if the picture showed it. This photo of central Inner Mongolia, about 200 miles north of Beijing, was taken on Nov. 24, 2004, from the International Space Station. The yellow arrow points to an estimated location of 42.5N 117.4E where the wall is visible. The red arrows point to other visible sections of the wall. Credit: NASA. ‘One straight human line drawn onto incredibly rough terrain,’ said astronaut Chris Hadfield about this image. Credit: NASA/CSA/Chris Hadfield. And, of course, at night cities are visible from space because the light they produce. You can see some stunning images here that NASA released in 2012 from the Suomi NPP satellite of city lights from space. The Apollo astronauts confirmed that you can’t see the Great Wall of China from the Moon. 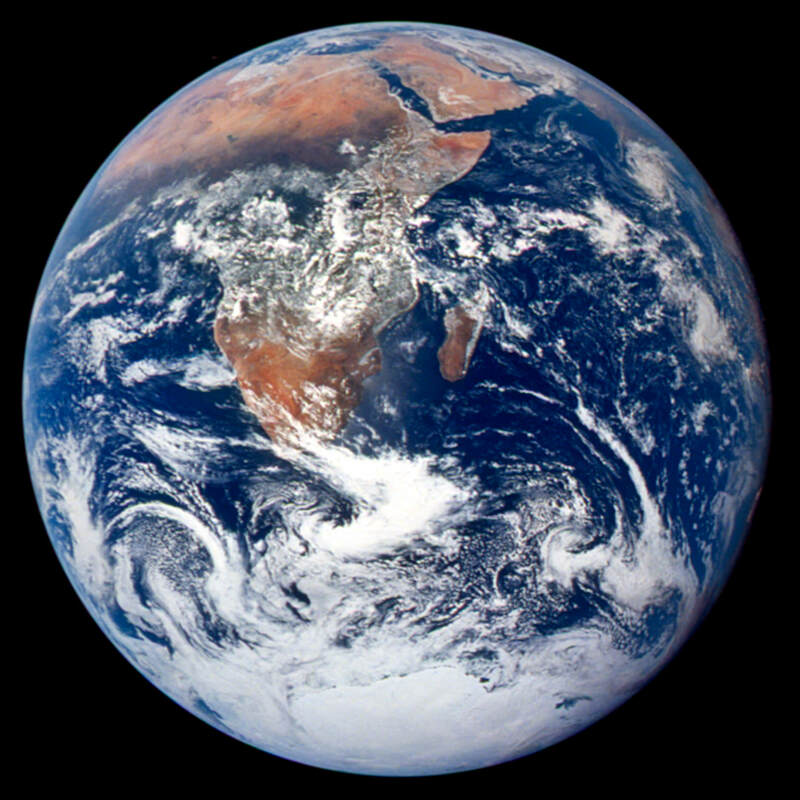 In fact, all you can see from the Moon is the white and blue marble of our home planet. With all of the human construction, many buildings and other structures can be seen from space. But you can’t see the Great Wall of China from space. I wonder if we could put the Chinese up to hanging lanterns the length of the wall for their Taikonauts to see during their next space flight mission? That’s a great idea, it would look really cool. I have been told the Las Vegas strip at night used to be one of the easiest human objects smaller than whole town or cities to identify from space because it showed up well against the surrounding dark desert. I wonder whether that is still true with the present Las Vegas sprawl.